Ok , sorry for lack of reports over the past couple of months things have been full on with work and lets just say the clients and fishing have been good. Weather has been out of this world , I cant remember a summer with so many nice days back to back. We have not had any rain for so long but the wind has also been quite minimal giving anglers perfect conditions to target whichever river takes their fancy. 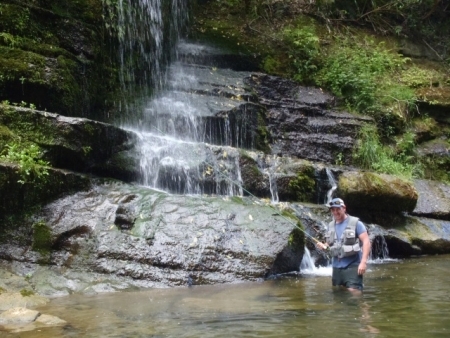 At the moment I must admit the backcountry has been the most productive with anglers with a little adventure doing very well in sometimes unfished water. Dry fly and dropper fishing has been exciting , super nice to be throwing lighter weights to bigger fish which are hard fighting . Always nice fishing to a mixed bag between browns and rainbows in varying sizes. Rivers such as the Mohaka, Whanganui and other tribs have been doing very well with a bit of walking. Generally these rivers are freestone rivers which adds hard wading to the equation but at this time of year with good nymph life in low conditions its well worth the effort . Locally has been an interesting couple of months with some rivers fishing well but others totally void of any trout activity. The Hine and Waytoohardanui have had their days and unfortunately things have not looked good in there for some time now. There seems to be a few browns starting to swim into the Nui but not as many as in the past, crossing fingers that they are on their way and will appear shortly. This river desperately needs some rain , pools have shallowed right up and some lies have totally changed . The Hine doesn’t have many trout full stop, I spoke to a few guides which have blanked in this river over the past week so I have no need to be thereÂ till early winter. 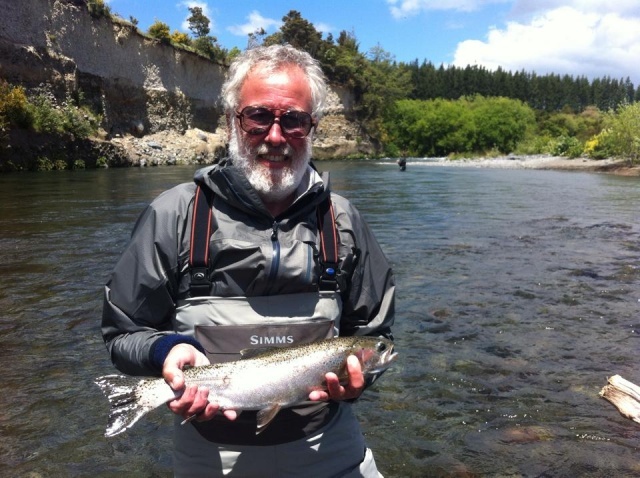 Indeed there are a few good fish being caught in the Tongariro. This river did not perform this year with onlyÂ small spawning runs through the winter. Despite this there seems to be some good numbers of rainbows holding up in the shallow runs and the edges of deeper pools. Juveniles are showing up and to be honest I am happy to see them swing of my nymph as they can break the boredom between other trout, they are hungry little critters.Â Â Browns have arrived in some numbers but they seem pretty spread out this season. The lower river is a total mess with the work they did last year and this has ruined many places which I once took many fish from, disappointing to say the least. Â The larger upper river pools have good numbers and there seem to be a few standout fish mixed in with the 7 pounders which im sure I will catch up with soon. Every season I get clients booking with me to target these bigger fish and once again a couple of those days are coming up . Chasing these bigger night time feeders requires quite a bit of patience , special gear and some luck. Of course a portion are caught by luck and as by catch while just fishing , in many respects the best wayÂ is to just go fishing and be happy with whatever comes your way. Remember just because they are large fish doesn’t mean they all have to be killed, let those 7 lb fish go and wait to kill a bigger trout in which you wish to mount!!. Cicadas seem to be in most areas but trout are not seeing many on the water as yet.Â So far I wouldn’t say it was a bumper Cicada year but its still early days and with moisture in the air we might see a few more flying around and ending up in the river as trout food. Trout are taking from the surface during the day though and at night the hatches are huge I am told. My go to fly for surface during the day is a Split Flag Adams , if you need some andÂ im sure you certainly do stop into Taupo Rod’n Tackle and see Matt he will see you right. Lake fishing over Christmas and the new year certainly got very hard and to be honest it is not suprizing with so many jet skis , jet boats, swimmers etc enjoying other lake activities. Â Things seem to have settled down quite a bit and fish are back on the bite with jigging again being very productive forÂ those who know what they are doing . Ginger Micks continue to be deadly.Â Â I was out the other day and stumbled upon a large group of trout holding up in 210 feet of water?? maybe escaping the noise of others. Trout seem in very good condition, Im guessing we are in for one major year on the rivers but I will believe it when I see it.